A Gap in the blogosphere that is. I’m so sorry for this extra long gap of not blogging but I have a good reason. Setting up my own cafe in downtown Cape Town and you’ll be glad to know if you don’t already that I’ve done so, thank God. 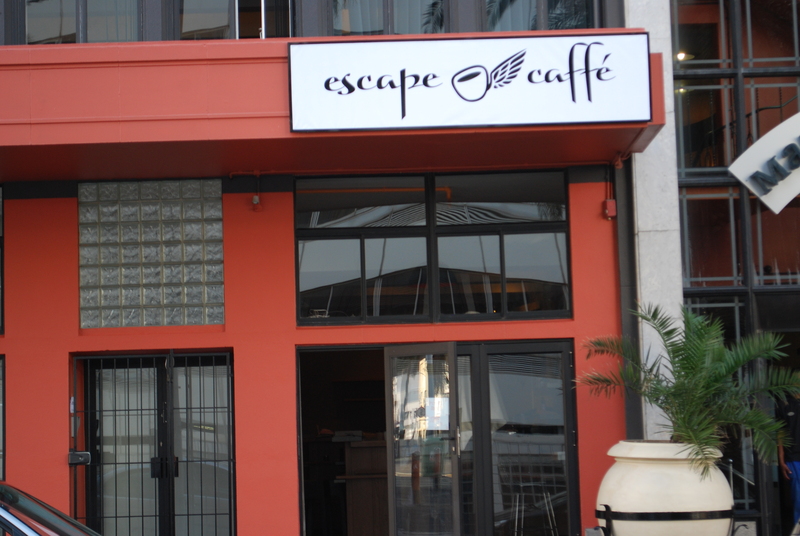 It’s called Escape Caffe, located at Manhattan Place, 130 Bree Street, Cape Town. I’ve set up a blog for it, http://escapecaffe.wordpress.com/ and also a twitter feed, so if you want to know what’s happening on a daily basis, check me out on twitter @escapecaffe. I’ll endeavour to keep this site updated with coffee findings not shared on the main escape caffe website – a task I hope to keep up with. Take care and I promise something very soon. This entry was posted on Friday, September 24th, 2010 at 11:26 am	and posted in Uncategorized. You can follow any responses to this entry through the RSS 2.0 feed.